Making sense of new voluntary dosing guidelines on acetaminophen containing products: Minimizing liver damage associated with a common medicine. Acetaminophen is one of the most common over-the-counter (OTC) medications, appearing in over 600 OTC products. It is an effective pain reliever and fever reducer when used as directed, though it can cause severe liver damage if overused. In fact, acetaminophen overdose is the most common cause of acute liver failure requiring a liver transplant in the United States. Although many of these cases of liver failure are the result of intentional overdose of acetaminophen, it is not uncommon for patients to receive too much acetaminophen in the form of multiple OTC and prescription products. Example: taking a multi-symptom cold medication AND Tylenol without realizing that they both contain acetaminophen. The Food and Drug Administration (FDA) has recently reduced the amount of acetaminophen that can appear in prescription pain medicines, and is also removing concentrated acetaminophen products for infants from the shelves. On the heels of these recent FDA actions, the makers of Tylenol (brand name acetaminophen) have voluntarily changed the labeling of Extra-Strength Tylenol reducing the maximum daily dose from 4000 mg a day (8 tablets) to 3000 mg daily (6 tablets). The formulations of Tylenol other than the Extra-Strength version are not expected to change the labeled maximum dose until sometime in 2012. Generic acetaminophen manufacturers are not required to change their labels to reflect this maximum dose. As a consumer, what does this mean for you? 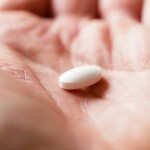 As of January of 2011, the FDA maintains that 4000 mg remains the maximum recommended daily dose for adults. This means that the makers of Tylenol simply wish to minimize the frequency of acetaminophen overdoses. You can help protect yourself and your family by checking the labels of all OTC products for acetaminophen and making sure that one does not exceed the 4000 mg daily dose. Keep in mind that many cold and flu products contain acetaminophen, as do many pain relievers and sleep aids. Also, chronic alcoholic beverage consumption increases the risk of liver damage caused by excessive acetaminophen usage. Note: that many prescription products also contain acetaminophen, such as Norco, Percocet, Vicodin, and their generic equivalents. You can minimize the likelihood of acetaminophen overdose by avoiding multi-ingredient products. If in doubt, call the IPC (1-800-222-1222) or ask your pharmacist which products do not contain additional acetaminophen. It is also recommended that you talk to your pharmacist when you are prescribed pain medication, so that you can limit your acetaminophen intake. When dosing liquid products for children, be sure to use the measuring device provided with the product. It is also advised to use the weight-based dosing guidelines on the package, as they allow more accurate dosing than the age-based guidelines. It is worth noting that in 2009, 8% of calls to poison control centers nationwide involved acetaminophen. 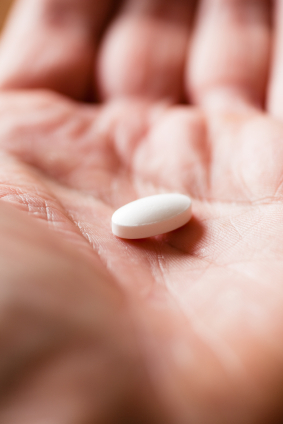 If you know or suspect that you or a family member has ingested an overdose of acetaminophen, or has been taking high doses of acetaminophen over long periods of time, don’t hesitate to call Illinois Poison Center at 1-800-222-1222.